I got Soy Milk Maker yesterday. 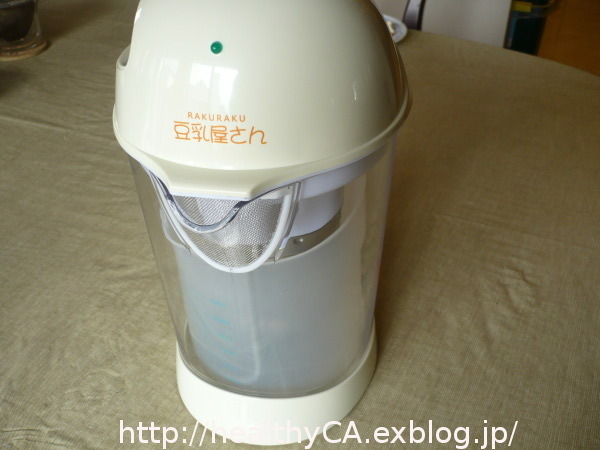 I made soy milk yesterday without this machine, it was a lots of work and taste was not great. Also I use soy milk to make yogurt and the soy milk at the store is not taste great either. I researched soy milk makers and the one which only sold in Japan looked great but it was more than $200. I found Japanese soy milk maker at the Korean market and bought it yesterday. 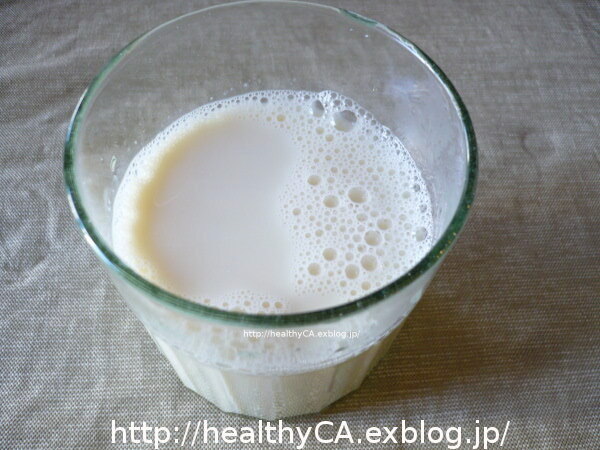 I made soy milk this morning. This soy milk has soy bean flavor and very tasty. 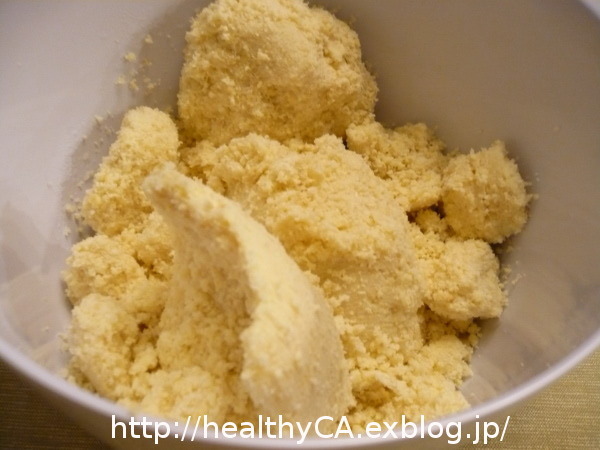 This is bean curd refuse from soy milk/Okara. This is very fine. I made Okara croquette today. This is very light and tasty! I had the February Cooking Class today. 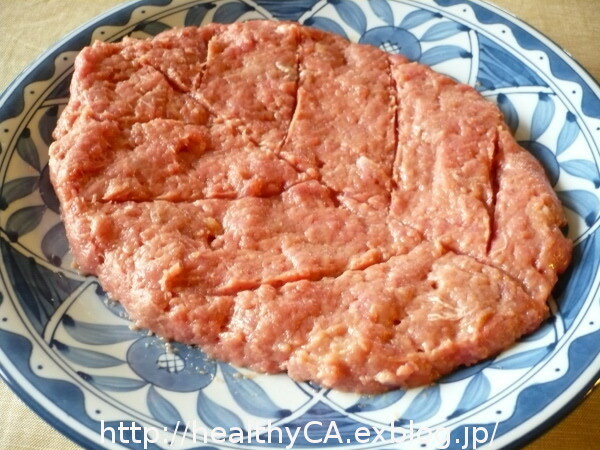 I already prepared ground duck meat from whole duck. After we finished duck hot pot, we made porridge. 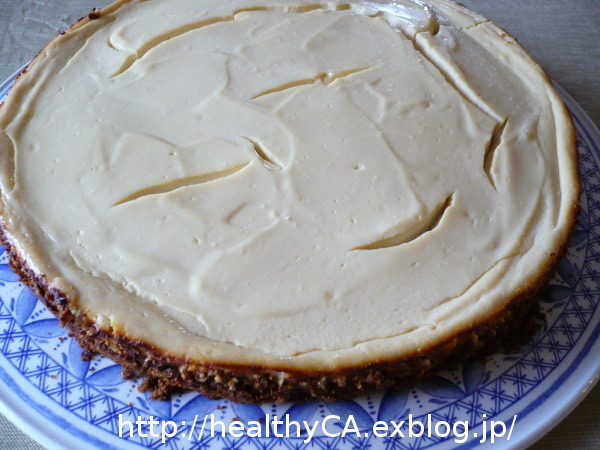 This is the today's dessert "Tofu Cake"
I used light cream cheese. I happen found "Sproutofu" at the Whole Foods. I used this tofu for this cake. 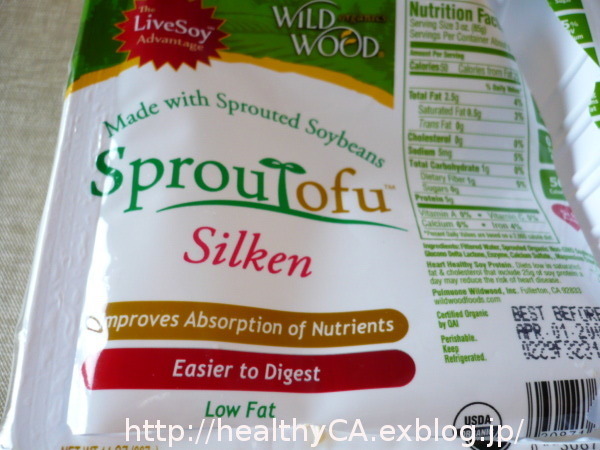 This is same concept with sprouted brown rice and I saw this item for the first time. 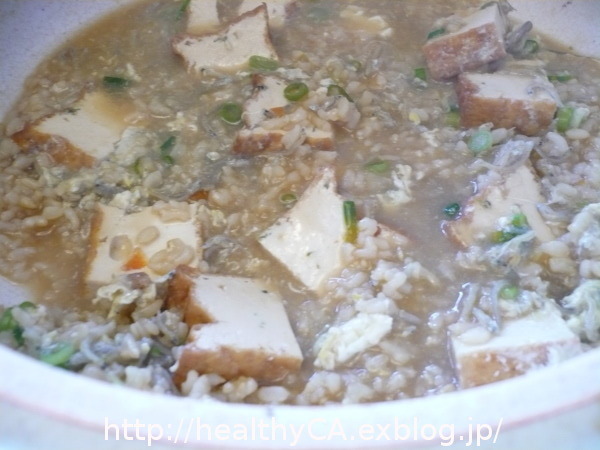 This cake is very light and taste Tofu flavor. I displayed Ohinasama Kazari today. 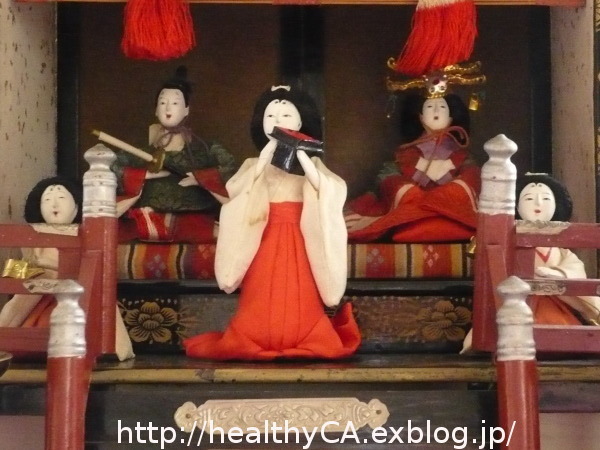 I have three sets of Ohinasama Dolls. 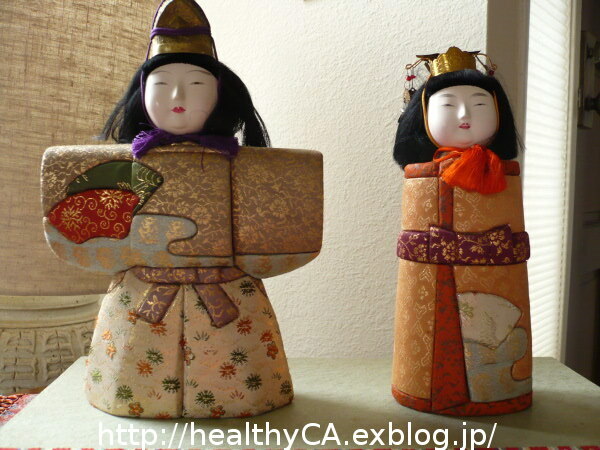 This Ohinasama Dolls was my mother's and she gave this to me. 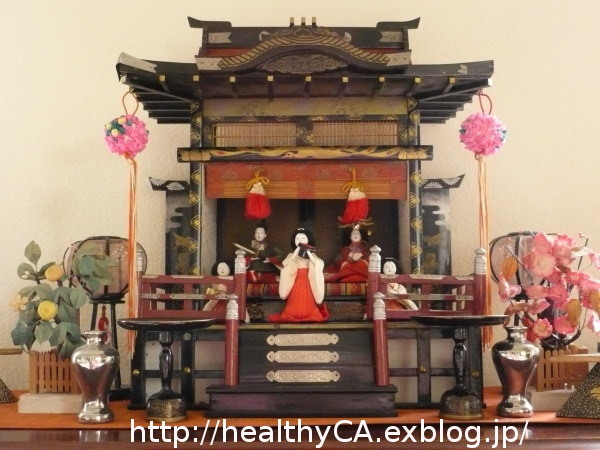 This Ohinasama has a house which Odairi-sama and Ohina-sama are sitting inside. There are three court ladies in the house too. Also this Ohinasama has many items belongs to. 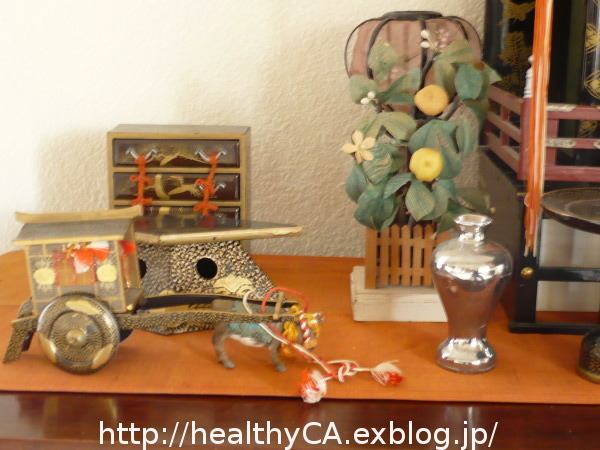 This is my Ohinasama which I carried when I visited Japan last November from my parents house. This is the one my parents bought for me when I was born to wish good health and good luck. 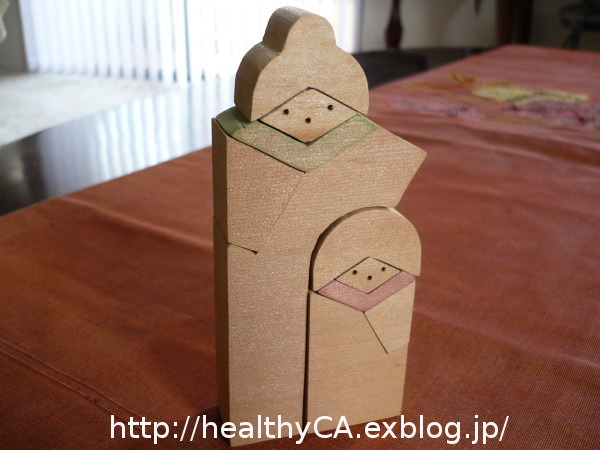 This is my hand made Ohinasama/wood pazzle which I made for my children when they were little boys. 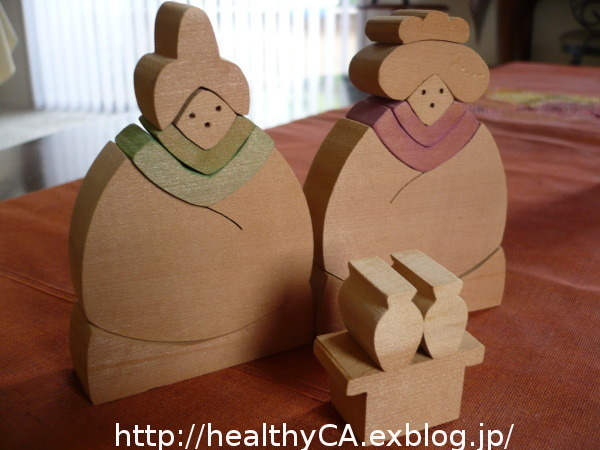 I wanted let them play because common Ohinasama we can just watch and we can not play with. 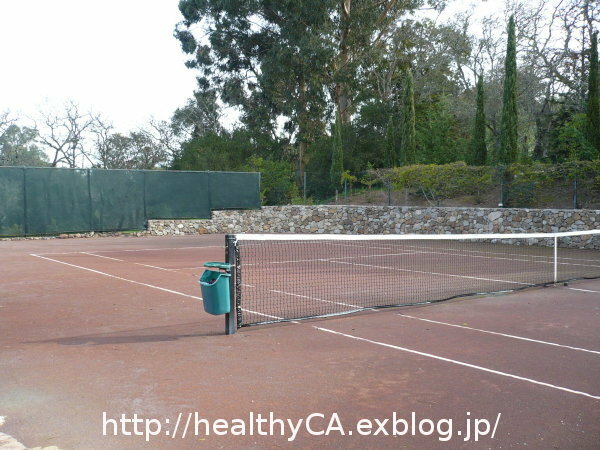 Today I played tennis at my friend's house clay court for three hours. She was a very good tennis player and she has a clay court at her house. I played tennis at her house many times about 8 years ago. Even she is not playing tennis now, she would let us to play on her clay court. 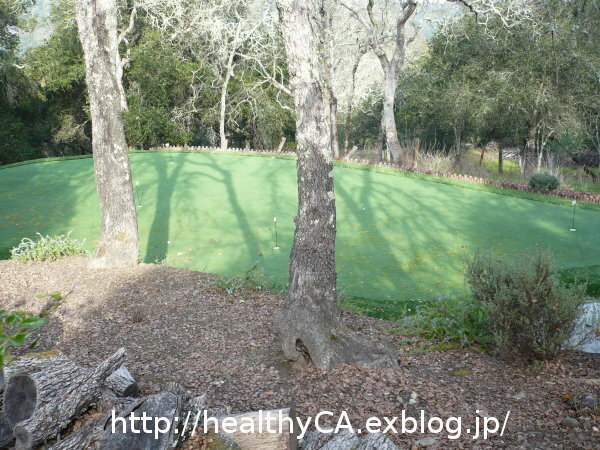 I love to play on clay because I used to play on clay court in Japan and clay is very gentle to our legs too. But it is hard to play on clay in California where all courts are hard courts. 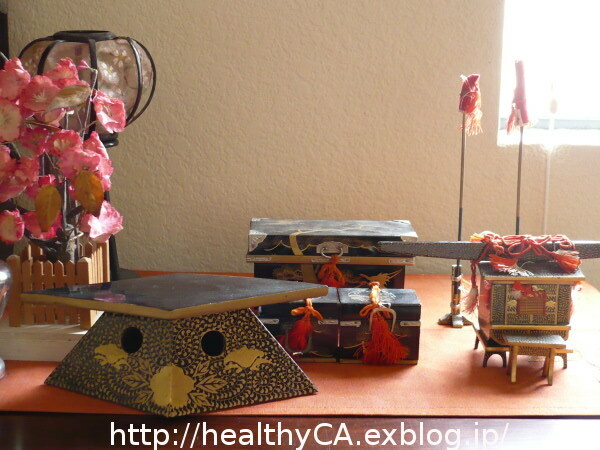 She has a beautiful gorgeous Italian style house and all materials were shipped from Italy. 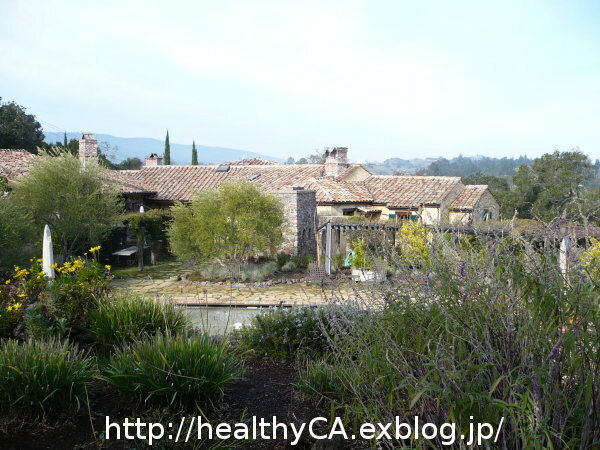 There is a pool, gym, guest house, golf patting area, clay court. 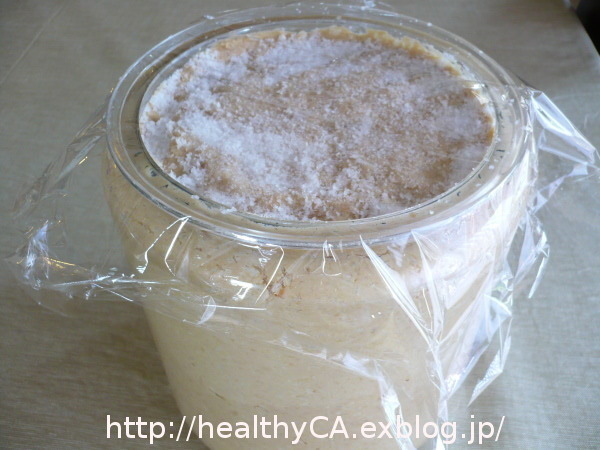 Today is "Setsubun" and I made Ehou Roll. 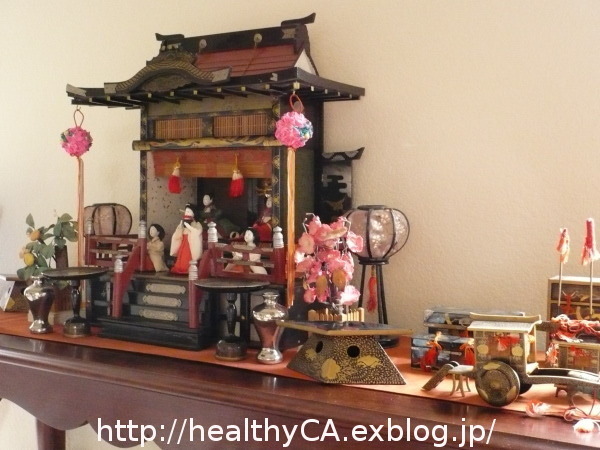 Ehou Roll is sushi roll which lucky to eat on the traditional end of winter day "Setsubun". This means calling good luck and brush off bad luck. 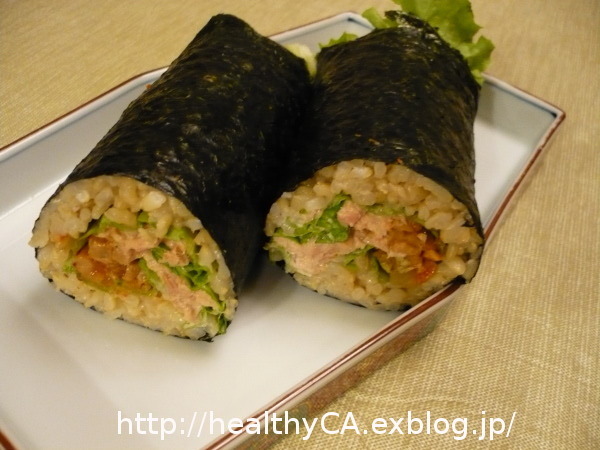 This is brown rice Ehou Roll which has kimchee, natto, lettuce, tuna inside. I got phone call few days ago and finally I got community garden after two years waiting period. 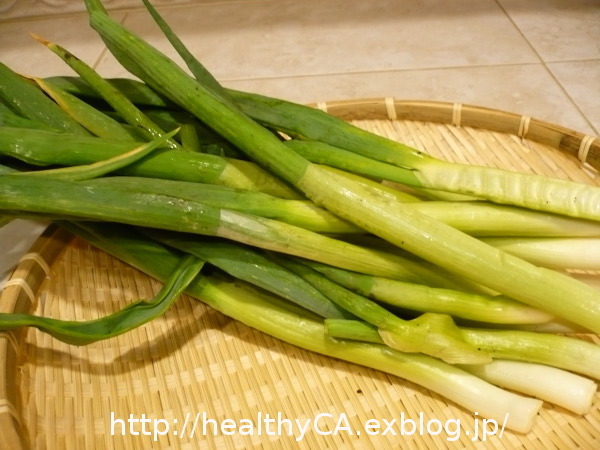 I cleaned my plot and I harvested lots of green onion from ex-owner. 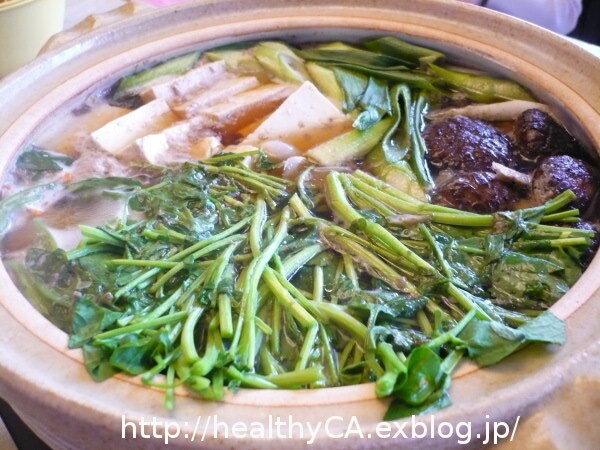 Then I made Negi Miso using these green onion and my home made miso. 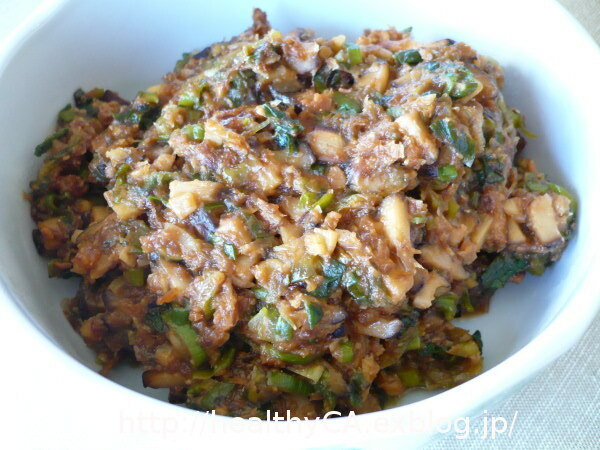 My friend gave me advise to make Negi Miso using own miso. This is so tasty! 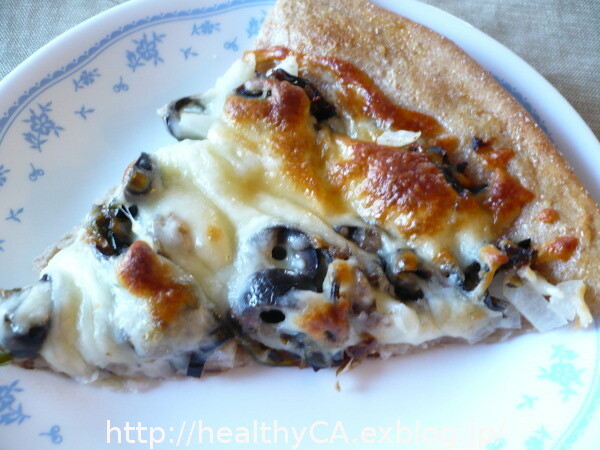 I made pizza with lotus root and this negi miso toppings. 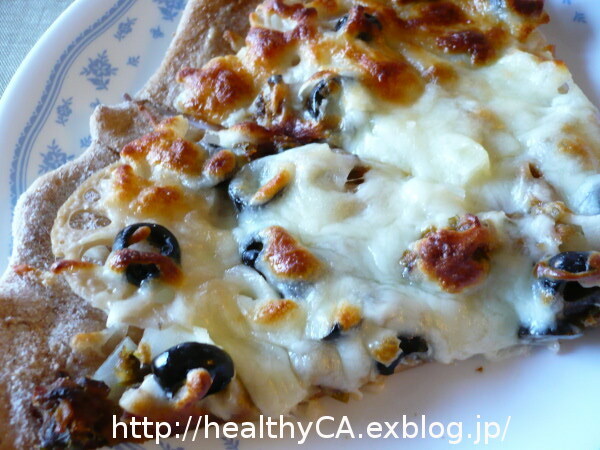 This is oriental flavor pizza and taste very good. 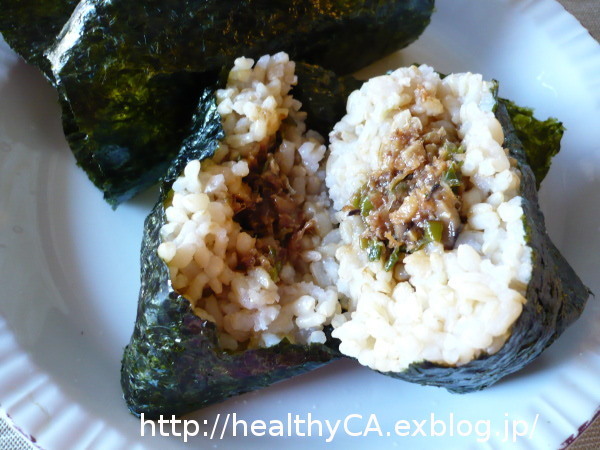 Also I made brown rice ball with negi miso too. 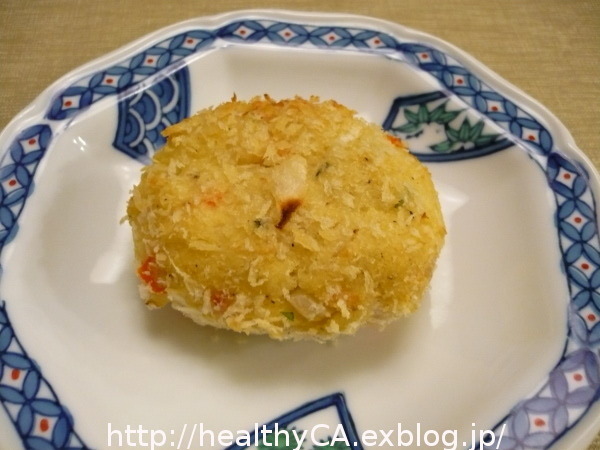 This is very much Japanese taste rice ball. I made dried sweet potatoes few days ago. 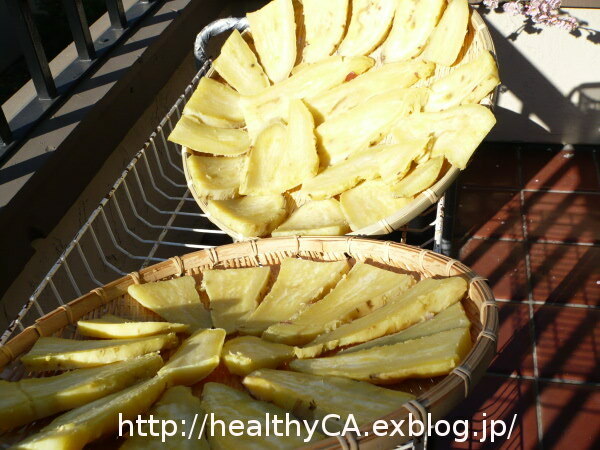 This is Japanese traditional healthy snack I make during in winter. 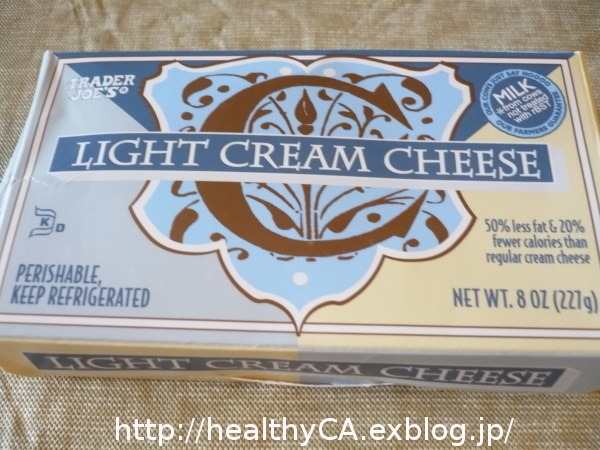 I bought this when I was in Japan but I need to make it in US because it is hard to get here. Actually it taste much better if I make it. Then I made valentine chocolate with this dried sweet potatoes today. 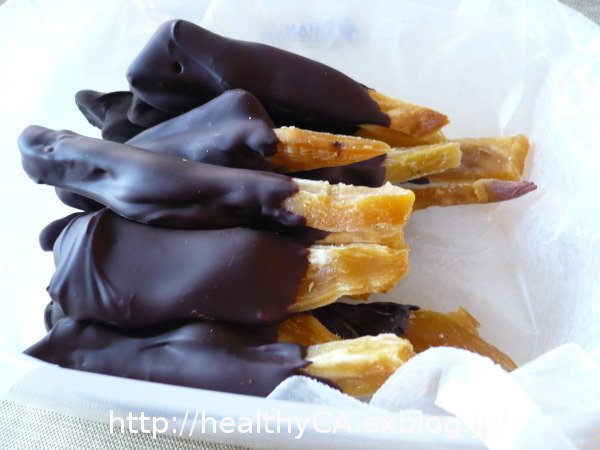 I melted chocolate and did tempering and dipped dried sweet potatoes. This is healthy valentine's chocolate and not too sweet. 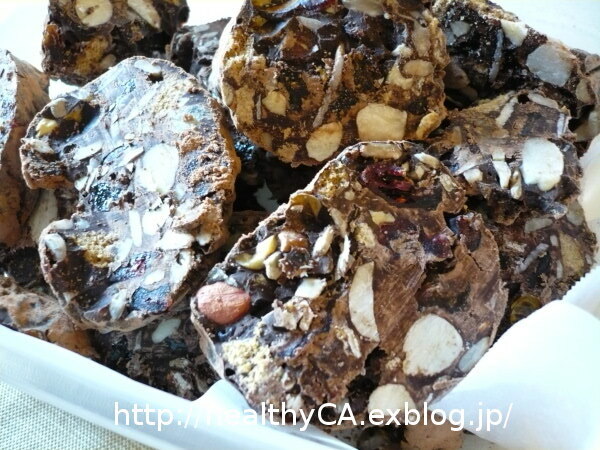 I made another healthy chocolate bar which include lots of nuts and dried fruits. I melted chocolate and mix with nuts and dried fruits and refrigerated. This is not too sweet either.